The Baby Blues� Distortion / Boost is a new approach in creating vintage tones. 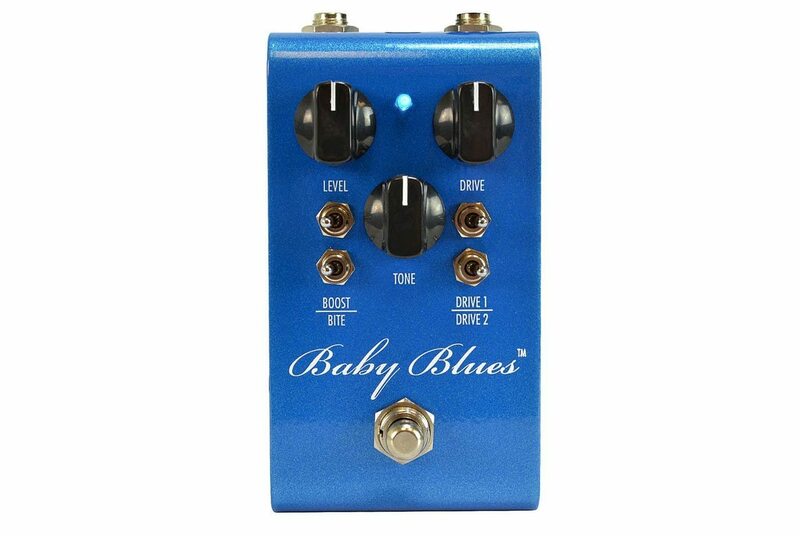 With two distinct Vintage Distortion settings, Clean Boost, Treble Boost, Gain, Drive and Tone controls, the Baby Blues� provides over 16 different combinations of tone, which can be further modified by the Gain, Drive and Tone controls. We started with some very special vintage components to give the Baby Blues� its classic signature tone. We then completed the design using the best audiophile grade components we could find. The result is a strikingly accurate representation of some of the best signature sounds ever created for guitar. Some settings will result in massive amounts of gain available, while other settings will result in just gain matching, but very creamy tones. All tones available are great, usable additions to the guitarists toolbox.